Music - Today is Good! Our first CD is out! Today is Good! 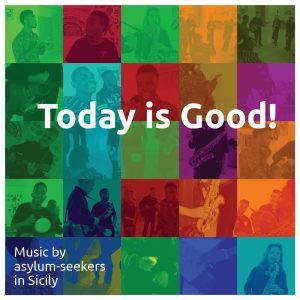 is a compilation of songs written and sung by asylum-seekers in Sicily, and it is available for sale on most digital platforms. You can support our project by buying the whole CD or just individual tracks: all profit goes to the artists!